Moms Eat Free! - Cascades Casino Penticton | NOW OPEN | Eat. Drink. Play. May 12 | 11am – 2pm | Moms Eat Free at theBuffet! 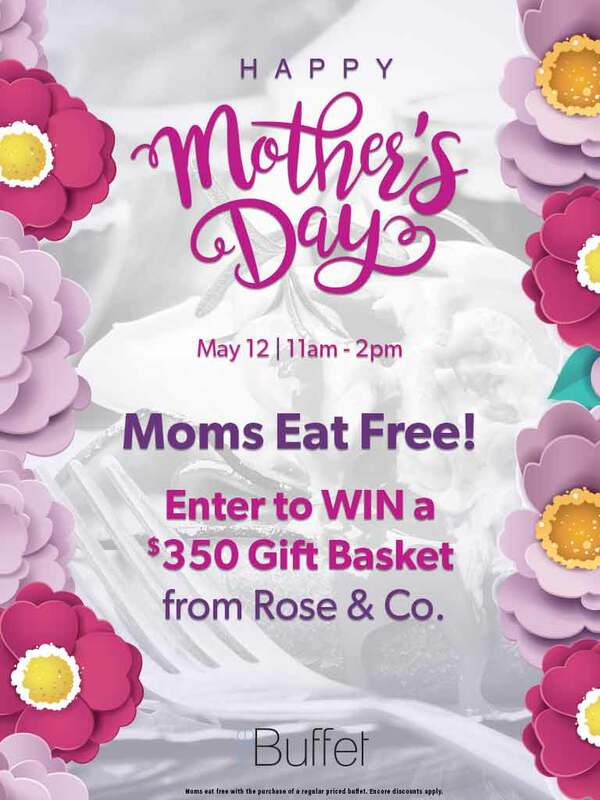 | Enter to win a $350 Gift Basket from Rose & Co.